Freya Garry is a physical oceanographer and climate scientist. Freya studied oceanography at the University of Southampton and National Oceanography Centre Southampton for over 7 years, before commencing a postdoctoral position at the University of Exeter in January 2017. She is part of a growing research group which studies the role of the oceans within climate change, focusing on biogeochemical cycling, variability and predictability. Freya’s past research includes studying the predictability of change to the Atlantic Meridional Overturning Circulation from densities in the Labrador Sea and performing idealised model experiments to test the influence of various factors on the climate of Europe. Her doctoral thesis evaluates uncertainties in the current system of ocean temperature measurement below 2000 m, and provides a model based assessment of ocean heat content variability which can help guide future deep ocean temperature observational system design. Freya is now working on a NERC funded project, Climate of the Last Millennium (CLAM), which is an integrated data-model approach to reconstruct and interpret annual variability in North Atlantic Circulation. Freya provides modelling and data analysis expertise to interpret a novel palaeo-record (from marine bivalves) and obtain a better understanding of the mechanisms behind ocean variability in the North Atlantic. Freya has restarted the Earth System Science seminar series since she joined the department, and co-founded Women in Climate (WIC) (http://sites.exeter.ac.uk/women-in-climate/), a network that provides a supportive environment for discussing issues, gaining insight from established scientists, and providing relevant training. WIC meets once a month, and is consistently well attended, enabling networking amongst climate scientists from both Mathematics and Geography departments. 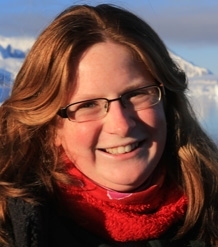 Freya has developed her outreach profile through involvement in the Climate Stories project (http://climatestories.virb.com/) during 2018. Climate scientists have worked with artists on climate science communication, developing their abilities to effectively communicate science to the general public. During this project, Freya has written poetry, written and performed songs with other scientists and members of the general public, and helped facilitate a drama workshop with local children at Doorstep Arts in Paignton as well as dabbling with a bit of printmaking! As well as reaching out via her own Twitter profile, Freya has been tweeting on behalf of Earth System Science, and now the Global Systems Institute, during the last year. She has also been involved in communicating her science to schoolchildren during Britain Needs Scientists 2018, and through her involvement in the Brilliant Club, which aims to increase the number of children from non-selective state schools applying to highly selective universities. As part of the outreach for the NERC grant she is employed on, Freya spent a week at the Eisteddfod 2018 in Cardiff speaking to the public about understanding climate from clams. During 2018, Freya has also lectured for university summer schools at the University of Exeter and the University of Cardiff, as well as writing and running practicals for a NERC Advanced Training course at the Met Office for postgraduate and postdoctoral level scientists. Ocean heat content and its role in climate variability on multi-annual timescales. Physical oceanography and its role in the climate system. CLAM is a 3 year £750k NERC Standard Grant collaboration between Cardiff (lead), Exeter and Bangor, attempting to reconstruct and understand annual to centennial variability in surface North Atlantic circulation over the past millennium. CLAM aims to utilise a network of robustly calibrated and verified absolutely dated sclerochronological proxy archives from NW Scotland, N. Iceland and the Gulf of Maine, together with high-resolution climate models, to investigate the mechanisms and forcings driving variability in the circulation patterns of the North Atlantic over the last millennium. We construct a novel framework to investigate the uncertainties and biases associated with estimates of deep ocean temperature change from hydrographic sections, and demonstrate this framework in an eddy-permitting ocean model. Biases in estimates from observations arise due to sparse spatial coverage (few sections in a basin), low frequency of occupations (typically 5-10 years apart), mismatches between the time period of interest and span of occupations, and from seasonal biases relating to the practicalities of sampling during certain times of year. Between the years 1990 and 2010, the modeled global abyssal ocean biases are small, although regionally some biases (expressed as a heat flux into the 4000 - 6000 m layer) can be up to 0.05 W/m². In this model, biases in the heat flux into the deep 2000 - 4000 m layer, due to either temporal or spatial sampling uncertainties, are typically much larger and can be over 0.1 W/m² across an ocean. Overall, 82% of the warming trend deeper than 2000 m is captured by hydrographic section-style sampling in the model. At 2000 m, only half the model global warming trend is obtained from observational-style sampling, with large biases in the Atlantic, Southern and Indian Oceans. Biases due to different sources of uncertainty can have opposing signs and differ in relative importance both regionally and with depth, revealing the importance of reducing temporal and spatial uncertainties in future deep ocean observing design. Roberts CD, Garry FK, Jackson LC (2013). A Multimodel Study of Sea Surface Temperature and Subsurface Density Fingerprints of the Atlantic Meridional Overturning Circulation. JOURNAL OF CLIMATE, 26(22), 9155-9174. Author URL. Garry FK, McDonagh E, Blaker A, Roberts C, Desbruyeres D, Frajka-Williams E, King B (2019). Model derived uncertainties in deep ocean temperature trends between 1990-2010 (dataset).